Congress assigned responsibility for the 1790 census to the marshals of the U.S. judicial districts under an act that, with minor modifications and extensions, governed census-taking through 1840. Number of housing units counted in the 1940 Census. Number of housing units counted in the 2010 Census. There was no separate census of housing as part of the 2010 Census. Instead, only two housing questions were asked of all respondents: one on tenure (whether the home is owned or rented) and whether the respondent sometimes lives or stays somewhere else. Tenure and whether the respondent and other household members sometimes lived or stayed somewhere else were determined for all housing units occupied on Census Day. Enumerators followed up on units that were vacant on Census Day and asked the status (for rent, for sale, for seasonal or occasional use) of vacant units. More housing questions were instead asked in the American Community Survey. The 1940 Census was the first in which enumerators asked a random sample of the population (roughly 1 in 20 people) an extra set of more detailed questions, including place of birth of their mother and father, mother tongue, veteran status (or whether wife, widow or child of vet), whether deductions for Social Security were made from wages, occupation, industry and class of worker, and, for women who had ever been married, whether they had been married more than once, age at first marriage, and number of children ever born. All in all, 34 questions were asked of all households, with another 16 asked of the one in 20 sample. In the 2010 Census, every household was asked the same basic demographic questions. The more detailed demographic, economic and housing questions that used to be asked of a sample of households in the census (up through 2000) now are asked annually in the American Community Survey, which is sent to about 3 million households nationwide every year. The specific detailed questions asked on a sample basis over the decades has changed over time. Questions new to the census included residence five years earlier, income, highest level of school completed and new, detailed questions on unemployment history. Many of these questions were added to measure the effects of the Great Depression. Two new questions were added to the 2010 Census form, designed to help ensure an accurate count of all household members: one on whether any additional people were staying in the home that were not included in the count of people living or staying there (such as newborn babies, cousins or roommates) and whether each person sometimes lived or stayed somewhere else. Number of questions on the 1940 Census population form asked of all households. Another 16 questions were asked of only a 5 percent sample of the population. Number of questions on the 2010 Census form. Occupations listed as examples for the 1940 Census occupation question. Examples listed for 1940 Census industry question. 175,000 The number of original maps made of the 147,000 enumeration districts. The maps were used as guides for enumerators so they could personally visit every house, building, tent, cabin, hut or other place in which a person might be living or staying. Enumerators were instructed to begin their canvass by carefully checking for completeness and accuracy of the map they were provided. Each enumeration district was designed so it could easily be canvassed by a single enumerator in about two weeks in urban areas or a month in rural areas. An address canvassing operation was conducted by the Census Bureau in 2009 to verify that its master address list of 145 million housing units and maps were accurate so it could mail or hand-deliver questionnaires to housing units. During this procedure, census workers looked for every place where people lived, stayed or could stay, comparing what they saw on the ground with what was shown on the Census Bureau’s address list. Number of enumerators for the 1940 Census. Number of enumerators hired for the 2010 Census nonresponse follow-up operation. For all field operations, close to 1 million were hired. In the 1940 Census, enumerators were told to visit every house, building, tent, cabin, hut or other place in which a person might be living or staying. During each visit, enumerators then interviewed residents and filled out their answers on a portfolio-sized book. For the 2010 Census, more than 120 million questionnaires were targeted for delivery by mail to U.S. residences with another 12 million delivered instead by census workers. For both these areas, a nonresponse follow-up operation was conducted in which enumerators visited households that did not mail back a form in order to gather answers from them. There were another 1.5 million addresses (generally the most remote and rural areas) in which enumerators made one visit to validate our address list and to fill out the questionnaire at the door. In processing the 1940 Census, operators transferred information appearing on the schedules filled out by enumerators to punch cards. This permitted processing of census returns by sorting machines. In processing the 2010 Census, optical scanners and computer software were used to “read” the human handwriting on the questionnaires and convert it into electronic form. This was supplemented by keyers for cases that couldn’t be optically read. The number of district supervisors utilized for the 1940 Census; they were responsible for directing the collection of the data and overseeing enumerators. The district supervisors worked for 104 area managers, who were the direct representatives of the Census Bureau in the field and appointed by the director of the census. Area managers sent weekly mail reports directly to Washington, and at the end of census operations in the area, forwarded office records directly to the chief of the Field Division at Census Bureau headquarters. Number of local census offices utilized for the 2010 Census, 150 of which were open for the address listing operation. Staff working in and from these temporary offices managed address listing field work, conducted local recruiting and visited living quarters to conduct nonresponse follow-up. These local census offices were supported by 12 regional census centers. 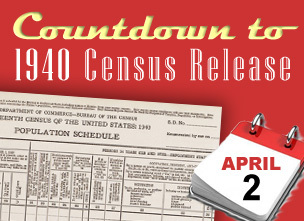 For the 1940 Census, area managers and district supervisors were encouraged to contact local newspapers and radio stations and local organizations and officials to obtain their cooperation in promoting a complete and effective census. The Census Bureau’s Division of Public Relations issued press releases during the canvass period; area managers and district supervisors were instructed to contact civic organizations for assistance in circulating them to the media. The Census Bureau distributed thousands of posters like the one at the top of this Facts for Features. Through the cooperation of newspapers, trade associations, more than 2,000 local citizens committees, motion pictures and radio stations, the nation was informed about their census. With the nation much larger and more diverse than in 1940, the 2010 Census utilized partnerships with 257,000 organizations, dispatched 16 Portrait of America Road Tour vehicles, and implemented a $168 million national paid advertising campaign to boost participation rates. The vast majority of census partners were community-based organizations such as churches, neighborhood organizations and service clubs, although many national organizations and media partners also signed on in this effort to help increase awareness of the census. The 2010 Census Portrait of America Road Tour vehicles stopped and exhibited at more than 800 events nationwide, from local parades to major sporting events. The paid advertising campaign was utilized based on projections that for every one percentage point increase in the national mail response participation rate, the federal government would save $85 million in taxpayer money. The 1940 Census results were published via printed reports. Via the news wires, the Census Bureau distributed press releases and summary statistics. (The bottleneck created by the overloading of press association wires in Washington by war news made the announcement of census results difficult. This situation was met in part by emphasizing information of interest to a particular state or local area and transmitting the news directly through channels to that region.) The preliminary population results were first published as a series of state bulletins between August 1940 and April 1941. A second series of population bulletins were produced between September 1941 and April 1942, composed of separate bulletins for each state and a summary volume for the U.S. These second series bulletins were assembled in a bound volume. Published in 1943, it contained statistics down to the level of incorporated places of 1,000 people or more. The 2010 Census results were made available exclusively through American FactFinder, the Census Bureau’s online statistics and information search engine. The first results, total population counts for states, were released in December 2010 for the purposes of apportionment of U.S. House seats. Following these were more detailed demographic characteristics down to the block level on a state by state flow basis between February and April 2011 to be used by governors and state legislators to redraw federal, state and local legislative districts. Many other products followed. Population of California, the most populous state per the 2010 Census. Texas, New York, Florida and Illinois followed. Wyoming, with 564,000 residents, was last. See the top 10 here. Population of New York City in the 1940 Census. New York was the most populous city, with Detroit, Cleveland, St. Louis and Pittsburgh also among the 10 most populous cities. See the top 10 here. Population of New York City in the 2010 Census. Although New York remained the most populous city, it was joined in the top 10 by Houston, Phoenix, San Antonio, San Diego, Dallas and San Jose, among others. See the top 10 here. Percent of adults with a bachelor’s degree or higher, according to the 1940 Census. Percent of adults with a bachelor’s degree or higher, according to the 2010 American Community Survey. The percentages of the U.S. population that were white and black, respectively, in the 1940 Census. Information on the Hispanic population was not collected. The percentages of the U.S. population that were single-race white and black, respectively, in the 2010 Census. (Respondents had the option of choosing more than one race). Additionally, 16.3 percent were Hispanic (who may be of any race), 4.8 percent Asian, 0.9 percent American Indian and Alaska Native and 2.9 percent two or more races. Median annual wage or salary for men and women, respectively, counted in the 1940 Census. These figures are in 1939 dollars and pertain to people 14 and older. Wages was the only income identified with an amount in the 1940 Census. Median annual earnings for men and women, respectively, in 2010 who were 16 and older, according to the American Community Survey. Number of farmers (owners and tenants) and farm managers counted in the 1940 Census. Number of farmers, ranchers and other agricultural managers, according to the 2010 American Community Survey. Number of males per 100 females in the U.S., according to the 1940 Census. 96.7 Number of males per 100 females, according to the 2010 Census. Estimated cost of the 2010 Census, covering fiscal years 2001 through 2013. The total includes the cost of the American Community Survey for this period. This total equates to about $40.17 per capita for the 308.7 million people counted in 2010, plus the cost to conduct and release detailed ACS data each year. This entry was posted in Censuses. Bookmark the permalink.